Mercat Gait Centre, Prestonpans, East Lothian. The gala is open to swimmers of all ages with a physical, sensory or learning impairment. Swimmers can be members of a club or independent entries, the only pre-requisite is that you can swim 25 meters unaided. 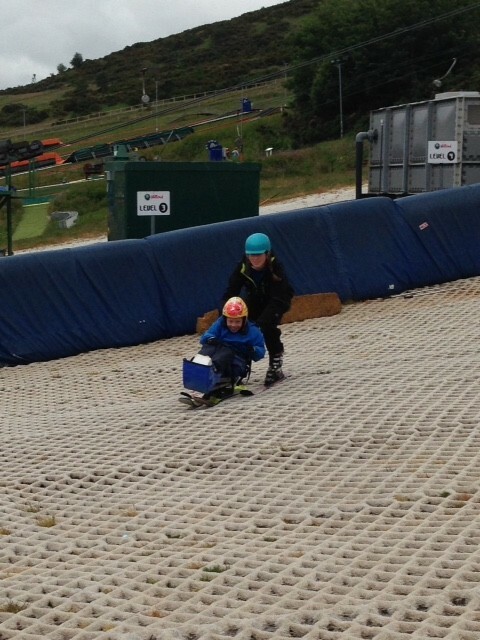 Nominations for the Mark Headden Memorial Trophy are also encouraged for this gala. This Trophy is awareded to the swimmer who has reached personal achievements over the previous 12 months. 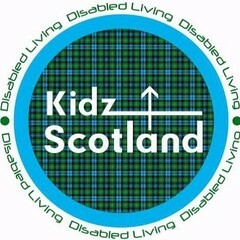 Disability Livings’ Kidz Scotland event is coming to the Royal Highland Exhibition Centre in Edinburgh. The Kidz exhibitions are the largest UK events of their kind, with the focus being equipment, products and services for children and young adults with disabilities. 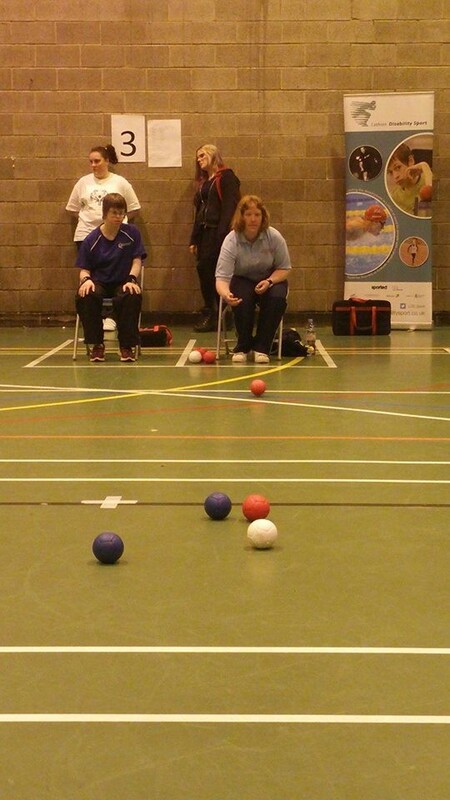 Scottish Disability Sport, in partnership with Lothian Disability Sport and local clubs, will be coordinating a sports arena including badminton, boccia, table tennis, wheelchair basketball and wheelchair tennis. These activities will be run using a timetabled system allowing people to come and try throughout the day. This will demonstrate to visitors that there are a variety of sporting opportunities available in the area and we will be able to advise anyone who is interested. 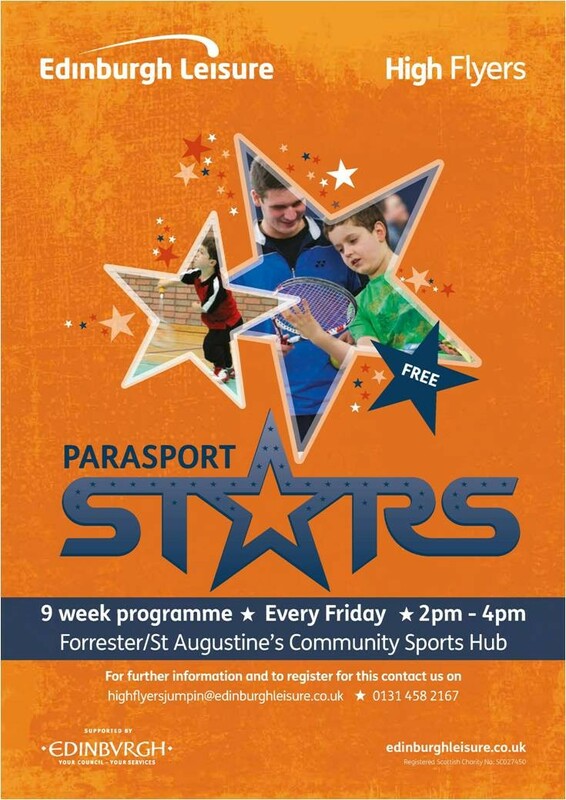 There will also be a stall at the event, which will provide a range of information about sporting opportunities, clubs and events that currently take place in the region and throughout Scotland. Our aim is to raise the awareness of sport for people with a disability as well as encourage people of all abilities to be healthy, get active and take part in sport. 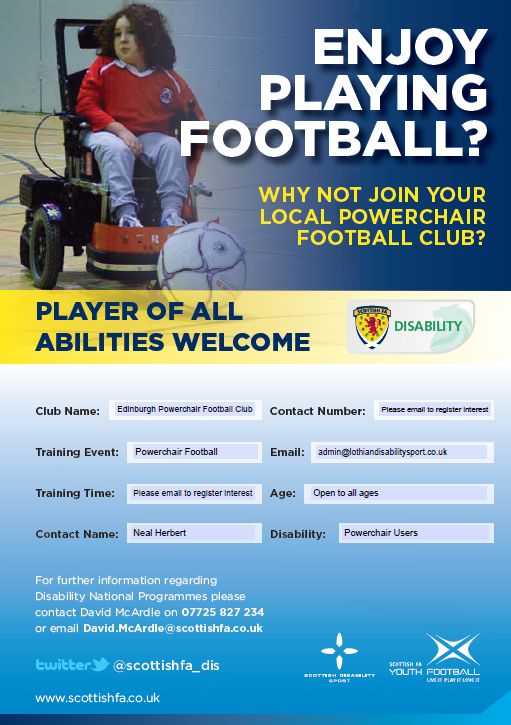 Dalkeith Miners CYP Disability Officer Steven Williams has been selected as Regional Winner 2015 in this year's SFA Grassroots Awards in the category of Disability Football. In partnership with McDonald's and the Sunday Mail, the SFA Awards recognise the value individuals such as Steven bring to football and their communities. Steven devotes a huge amount of time and effort to our football club in his role as Disability Officer as well as running a team. His involvement means that school kids who might not otherwise get a chance to play football have that opportunity. Tony Begg, Club Development Manager for the Scottish FA South East Region said, 'The annual regional grassroots awards, in partnership with McDonalds and The Sunday Mail, is a chance for us to reward and highlight the great work that is done by volunteers across the region and to extend our thanks to all those who commit so much time, energy and passion to our game. I am delighted for Steven that he has won this award, he gives a tremendous amount to disability football and he is a worthy winner'. The awards ceremony will be on Saturday 29th August at Easter Road Stadium ahead of the Hibs v Raith Rovers match that day. Following his selection as Regional Winner, Steven will now go forward within this category to the national awards panel with the potential of being a National Winner, to be awarded at Hampden Park in September. *article taken from Dalkeith Community Football Club website. 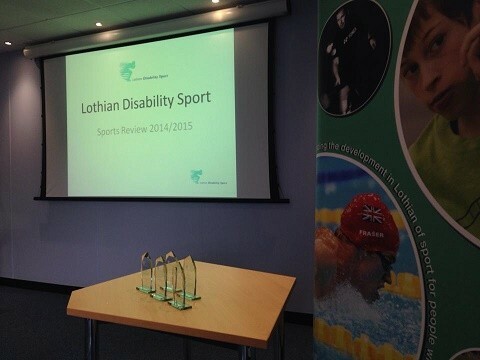 The Lothian Disability Sport (LDS) Annual General Meeting (AGM) for 2014/2015 was held at Caledonia House, South Gyle on Thursday 25th June and there was good representation from local clubs and athletes with around 45 people in attendance. This proceeded the Annual Awards Ceremony as LDS continue to recognise the huge impact that athletes, volunteers, coaches and teams have in sport across the Lothian area. The awards ceremony gives LDS the opportunity to celebrate these achievements and are proud to have such talented, dedicated and enthusiastic individuals within the region. Senior Sports Person: Scott Quin - Scott wins the award for the second year running after he continued his hugely impressive form into 2015. The Warrender Elite Squad swimmer secured silver at the IPC European Championships in Eindhoven last year and carried this form into 2015, breaking the SB14 100m Breaststroke world record as Scotland claimed victory at the British Gas Disability Championships in Manchester - only to better this time at the Scottish Short Course Championships at his home pool in Edinburgh a week later. 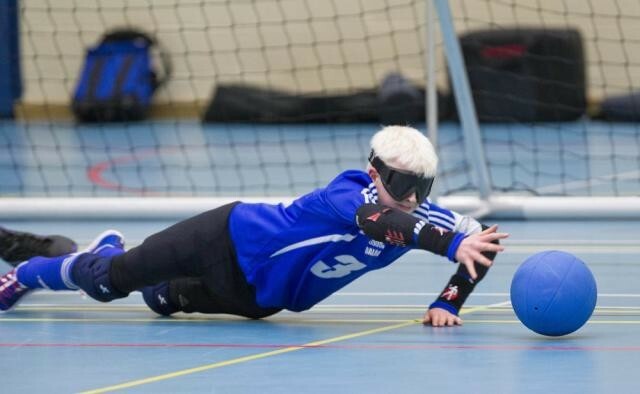 The Midlothian man is also only one of two Scots to be included in the GB squad due to compete at the IPC World Championships in Glasgow in mid July. 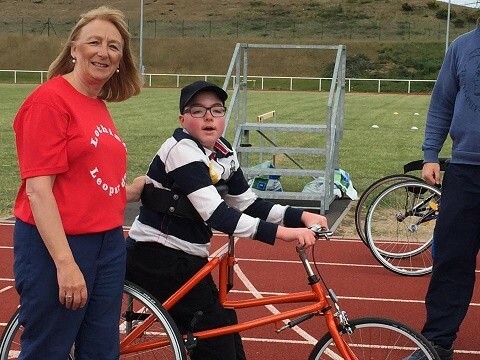 Young Sports Person: Ruairi Logan - The young wheelchair tennis player has been a member of Edinburgh based club Winning Wheels since 2009, demonstrating exceptional dedication towards training and competition. 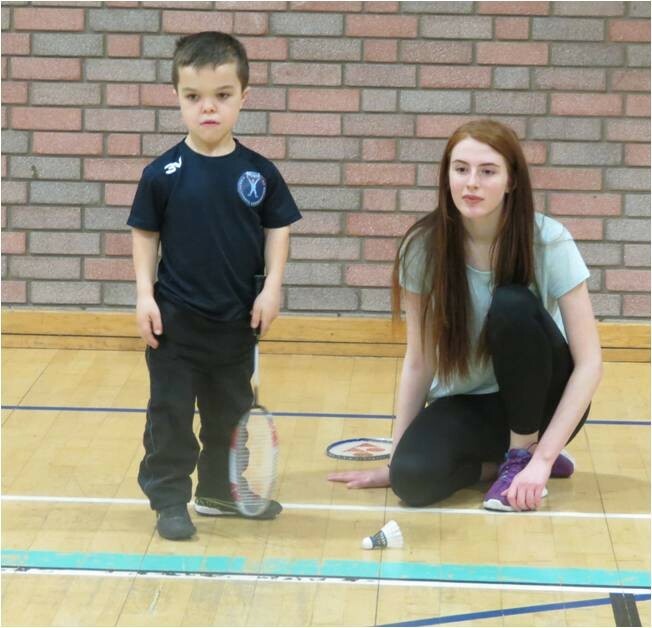 Ruairi currently trains five times per week, taking part in both individual wheelchair tennis sessions and group sessions with ambulant juniors of a similar age and ability. 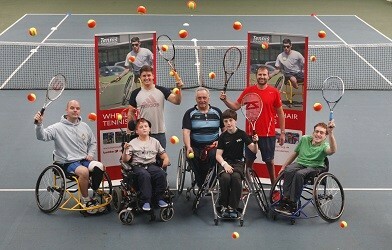 This hard work has paid off and Ruairi was recently selected for the GB Junior Wheelchair tennis team, competing in Turkey and testing himself against the top seed at the competition. 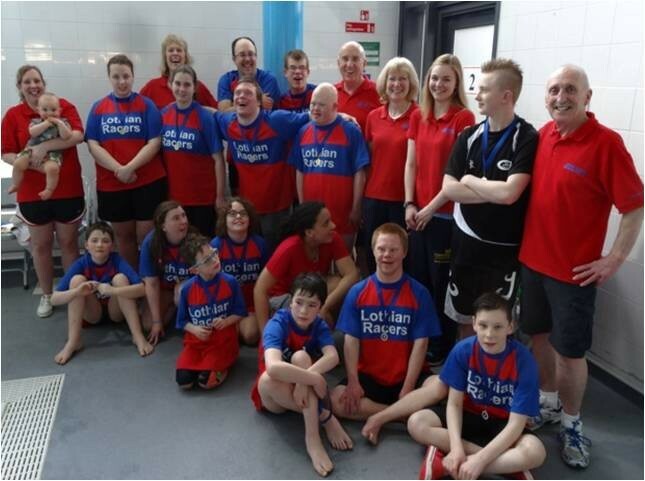 Club of the Year: Livingston & District Dolphins - Rainbow Squad - The West Lothian club were able to facilitate their first disability specific swimming gala at the beginning of June, providing another competitive swimming opportunity for the swimmers of Lothian. The gala is the latest development from the club, having increased members, found additional pool time, facilitated extra training sessions and recruited more poolside volunteers and coaches who are able to assist non-swimmers, improvers, stroke development and competitive swimmers. 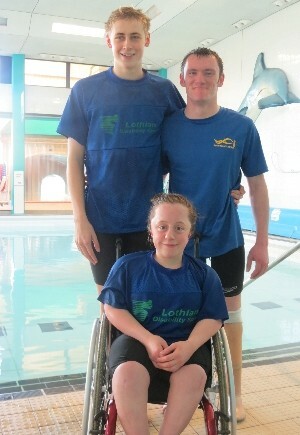 Livingston & District Dolphins also act inclusively, providing full integration with the competitive section of the club and some Rainbow Squad members are currently training with the mainstream section's silver squad. 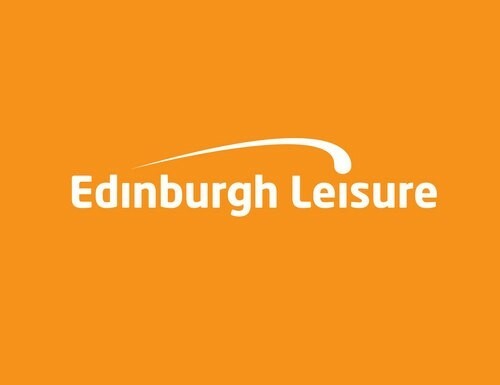 The increased number of swimmers can be easily identified through entry to recent LDS Gala's with the Rainbow Squad now amongst the biggest club entry across the Lothian region. Coach of the Year: Niall Ritchie - Niall has been coaching wheelchair basketball for 5 years and this year saw his under 15 side become National Junior League Champions after a triumphant visit to Nottingham for the National Finals. In addition to this role Niall is also heavily involved with the Scotland programme, acting as head coach for the under 15's and assistant to the under 23 squad. As a result of his undoubted d dedication, Niall regularly commits four hours per week to coaching and many weekends are spent travelling to Leeds for National league matches - all on top of juggling a full time job and supporting additional programmes and events delivered by Lothian Disability Sport and partner organisations. Endeavour Award: Ross Foley - Ross has been playing badminton with Lothian Disability Badminton Club (LDBC) since its formation in 2008, rarely missing a training night or event the club support. 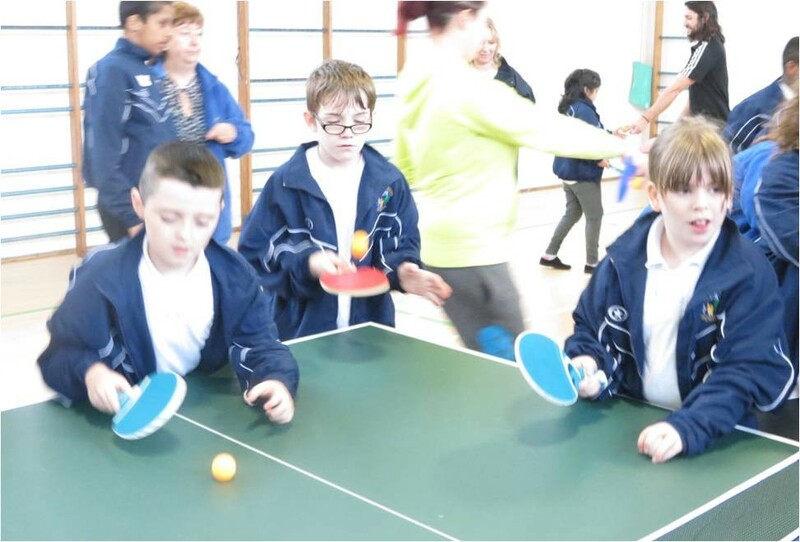 This commitment is now paying dividends and Ross is now at a standard of play which enables him to compete at the 4 Nations Disability Events across the United Kingdom, winning a gold medal in the Junior SS6 category Boys Doubles earlier this year. However, his friendly positive attitude off the court is what makes him such a popular club member and these characteristics are the reasoning behind the nomination from his club coaches. Jim Anderson OBE Bursary - Stephen Clegg - Stephen was the deserving winner of the cash award presented in recognition of Jim Anderson's outstanding achievements in the sport and link with LDS. 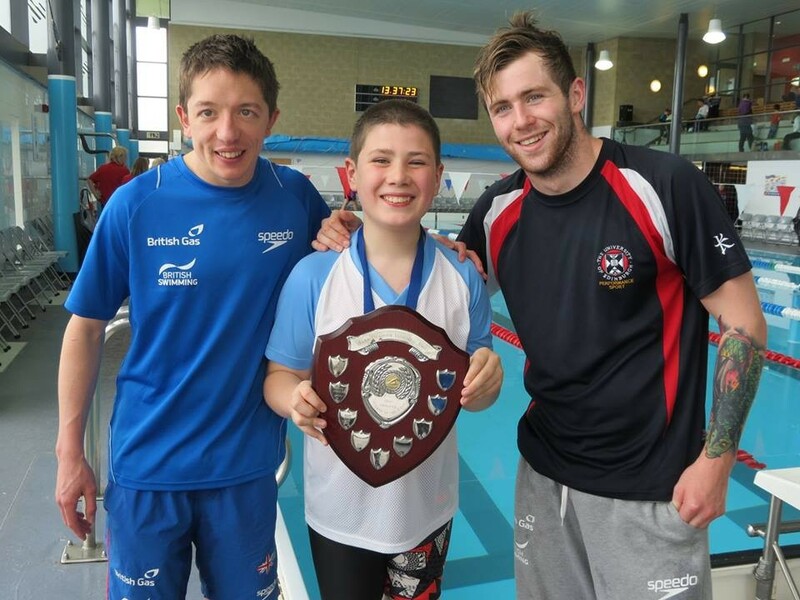 Stephen has developed superbly since his transition to East Lothian Swim Team and under the guidance of coach Bruce Halloran is reaching new levels in his performance which has only wetted his appetite to emulate his siblings and reach a Paralympic Games himself. This event will be delivered by Enjoy Leisure, in partnership with Scottish Disability Sport and Scottish Swimming, to promote disability swimming and encourage any individual to come along and find out more about the opportunities and pathways in place. The session will be led by qualified coaches with extensive knowledge and experience, and local clubs will be on hand to support any swimmer looking to join. This will also provide an ideal opportunity for others to start following in the footsteps of many successful disability swimmers from the region. This is a great opportunity to find a bike or trike that works for you, whatever your ability. 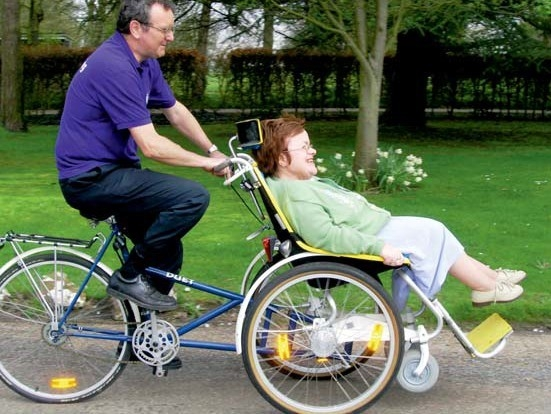 This year we're welcoming adapted cycling specialists Get Cycling CiC from York. They'll be bringing a range of machines including tandems, trikes, a quadricycle, a handcycle and a wheelchair transporter. Add to this Get Cycling's friendly and knowledgeable staff and we reckon you won't find a better chance to find out just what is possible under your own power or with assistance. This range will be complemented with a couple of recumbent trikes from Laid Back Bikes. Look in and enjoy a day of cycling diversity. Snacks from Donald – well known for his catering at Southside Community Centre.